This is my tam. I have made it using Egyptian cotton, and circular needles size 3.5, 4mm. It is my pattern. 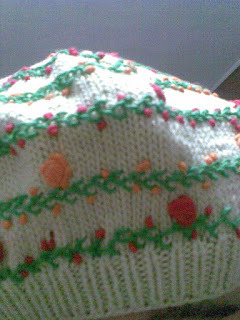 I cannot say it is a special pattern for a tam because it is just basic tam pattern suits my cotton yarn , and using St.st. I love embroidery , and also love to use many kinds of handcrafts with each other- knit with embroidery, knit with crochet, crochet with sewing . 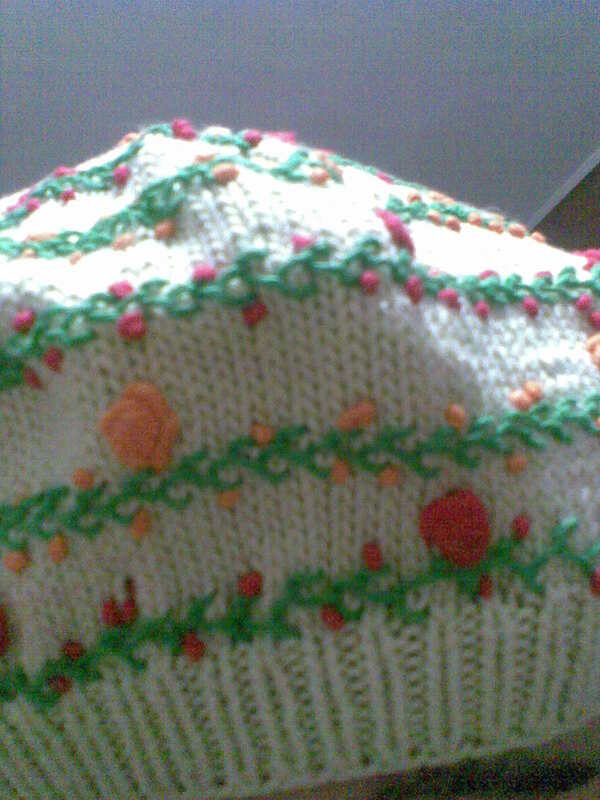 So I have planned to make a plain tam and used embroidery to add this simple touch on it. I have used three embroidery stitches which are, ( French knot, bullion stitch to make this little, and big flowers, and some kind of back stitch to make this green branches ). oh Lily, this is fantastic, you will turn heads, wearing it.. 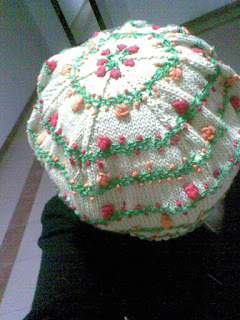 I love it..
What a sweet hat! It will be pretty in any weather!